Christian Brucculeri – Hi, my name is Christian. Yesterday was an awesome day for reading. First, Hunter Walk wrote a great post on not worrying about market size when considering Seed Stage Investments. You should read that. Then, you should read Aswath Damodaran burn down the house with his post on valuing young, growing companies. I read both of these and was struck with something a mentor told me awhile ago: venture investing and equity investing are pretty much on opposite sides of the financing spectrum. Did you know that most venture investors are admittedly bad public equity investors? It makes sense: the skills you need to be a great early stage investor have almost nothing to do with the skills you need to analyze a publicly traded stock. At the early stage, you’re mostly interested in the team trying to solve a problem, and the problem they’re trying to solve.While that relates to a market and there are macro factors to consider, the bigger pieces are harder to incorporate into a framework for deciding if a Seed Stage investment is a good idea, mostly because there’s so much uncertainty around it — a market can completely shift between the time you make an investment and the time in which the broader dynamics of the market really matter. Investing in equities, on the other hand, should be a disciplined practice of analyzing the present value of the discounted future cash flows of a business. There’s a lot more data to work with at the public equities (and probably a lot more noise), but the current market dynamics matter a ton. This is further compounded by the fact that companies are hitting the public market far later in their life cycles than they used to. A lot of investors try to think about Seed Stage investing using the framework they learned as equity analysts. While that may work sometimes, those investors are likely to miss a bunch of opportunities by overlooking great teams building great products. With a new year upon us all, now seems as good time as any to pile on with everyone else’s reflections, predictions and life tweaks. For the past five years, I’ve built out personal quarterly objectives for myself. I try to use the OKR format for these, taking a page out of business management frameworks for personal life management. My objectives focus on career, personal relationships and health and wellness. Of everything I’ve done for productivity, this process is probably the highest leverage. Trying to figure out what you want to do for the next year, defining how the next three months can help get you there, and then reflecting on how you did, is simple and effective. I’ve been using most of my slack time to read books and listen to podcasts. given the choice between 15 minutes in a book versus 15 minutes browsing a social app, this one’s a no-brainer. In terms of content, for books I’ve been mostly interested in narrative nonfiction (e.g. Michael Lewis), biographies (e.g. Walter Isaacson) and thought leadership pieces on politics, culture, technology and business. For podcasts, I’ve been listening to a lot of in-depth interview content that covers people’s life stories, or industry thought leadership. A few of my favorites right now are The Axe Files, FiveThirtyEight, a16z, and EconTalk. I’ve got a book list list of about 50 books and I’d like to cover about eight every quarter. Having a goal gives me something to focus on, and having a list removes the ‘what should I read next’ friction. I use Overcast to store podcasts on my phone for listening in the subway. I deleted all social apps from my phone. I still occasionally load Facebook from my mobile browser, but it’s definitely helped to not have five different apps with feeds and notifications for me to check. I use the Kindle App on my phone, and order paper books for home. I leave my phone in the kitchen at night so I’m not tempted to hop online. This one is about a week old for me, but so far it’s been a great experience and I’m excited to share it. I read a blurb from Spring Chicken about the benefits of intermittent fasting, found some posts about how to do it and started trying it out. It’s shockingly simple — I don’t eat for 15–16 hours per day. I just stop eating around 9pm, and start again around noon or 1pm the following day. I’m losing weight — but not a ton, and not in a way that feels unsustainable. This isn’t really a ‘diet’, or at least doesn’t feel like one to me. It feels more like a way to manage my energy. This one’s also easy, and removes another decision from my morning. At some point, I found an outfit that works for me and I bought five copies of it. Combined with skipping breakfast in the morning, I’ve removed the need to think through what to eat and what to wear when I wake up. While this sounds small, removing decisions from my morning allows me to focus on other things: planning my afternoon, spending time with my family, working out, etc. Easy win. That’s all I got. Happy optimizing and have a wonderful 2017! (*As an aside, being a parent and running a company are exponentially more work than anything I’ve ever done, because both are endeavors in which your efforts are both high impact, and never sufficient. You’re never ‘done’ with either). I’ve been at Snaps now for seven months. When I took the role, my primary interest in the opportunity was one of personal growth. Of course, I was excited to work with the team, and excited about the space and it was generally a great opportunity, but mostly I wanted to learn how to run a company by actually doing it. I’ve read a variance of comments on this idea: taking a ceo role for professional growth reasons. Some of the better critiques of this idea go something like ” the best ceos don’t actually want to be ceos at all, they take the job because no one else is willing to step into it”. It’s a romantic idea, the humble leader who quietly takes a leadership role without a hint of hubris or want of personal gain, who steps in and steadfastly inverts the org so that leadership sits on the bottom, supporting everyone on the team from below. I aspire to do that, to be that. I fail at it every day. One of the hardest adjustments I’ve had to make, and I’m guessing i’m not alone in this challenge, is moving my mindset from ‘produce great work’ to ‘inspire and motivate others to produce great work”. I think most highly productive people end up in leadership roles because they were really good at producing work, and so eventually graduated out of producing work and into a role of managing others who are producing work. I’m not suggesting that I don’t produce anything, more that I’m finding the most effective use of my time is in supporting others to produce work, because that’s how organizations scale, how people grow and how leaders can create great results. These two ideas: producing vs. supporting, require completely different skill sets. I am phenomenally weak in the second. I am impatient and intolerant of mistakes. I become frustrated when people don’t produce work in a way I would have done it, or as quickly as I might have. At my worst, I can be pessimistic and dismissive, and that usually comes out when I can’t control situations, which is basically every day at my job, and I imagine every day in most leadership roles. I am often reminded in my new role how important is is to support others in producing great work, and I think that’s been my best lesson so far. Snaps is a creative platform for brands. 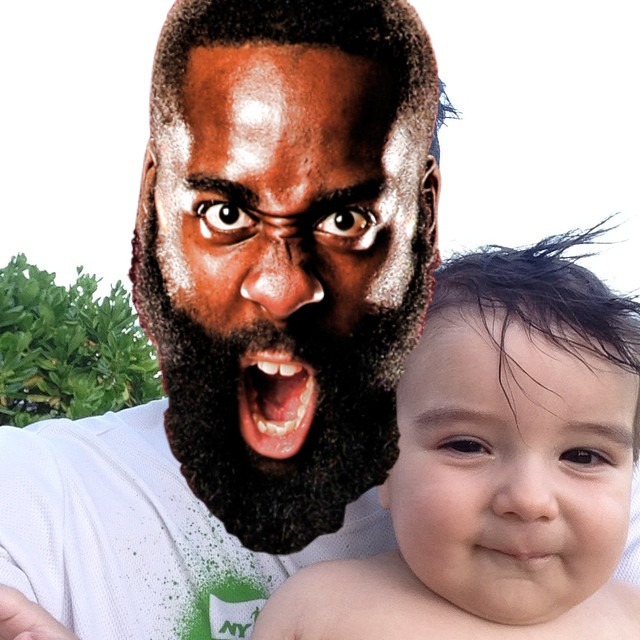 The Houston Rockets are using Snaps for fan engagement. Like many of us in the New York tech and media communities, I’ve tried to invest my time working with world class entrepreneurs, incredible visions and great businesses. To that end, I’m thrilled to share that I’m joining the team at Snaps as its CEO. When I first met Vivian Rosenthal, she described her view of a world where social communication had shifted from text-based, desktop conversation, to mobile-first visual channels like Instagram, Vine,Tumblr, Pinterest and others. We talked at length about how this shift will continue to create new opportunities and challenges for marketers, and how software can help create better conversations between consumers and brands in this new, visual space. Our conversation didn’t end at mobile. We also talked a about where that visual world is headed. With the emergence of new platforms like Google Glass, Oculus Rift and Magic Leap, new channels will continue to emerge that will transform the way consumers and brands communicate, and they’re only becoming increasingly visual and immersive. I believe that Snaps is perfectly positioned to help create, capture and amplify the visual conversation on the web. The current Snaps offering is a fun, engaging, creative solution that has already empowered some of the world’s best consumer brands in social media, including Secret, Kraft, Kate Spade, Sony Pictures, Nestlé and The Houston Rockets. Snaps has made incredible progress towards becoming a robust creative platform for brands, but we’re just getting started. I’m thrilled to be joining the team at this phase, and hope to share more about our product soon. Electronic Objects EO1 is a beautiful, connected frame for the home. Sometimes the device is dumb glass, driven by the cloud. And sometime the cloud is dumb storage, driven by the device. I’ve been having the ‘dumb glass or smart device’ conversation with a number of friends lately, and everyone seems to have a really strong opinion on this (I don’t, but I thought it was worth writing about since it’s come up so much). The question most asked is if the future of the internet will be one of smart-clouds-dumb-devices, or if hardware is going to play a meaningful role in the future of the web. To oversimplify with current companies, if you believe the former you’re probably long Google and short Apple, since you believe that all of the innovation and value will be created in the software layer. If you believe hardware really matters, you think Apple has a bright future, particularly in the short-to-mid term, because there are elements of physical products that make one better than the other, and software is a smaller piece of the equation. Dumb Glass People are often software engineers, venture capitalists and technology enthusiasts. They make the argument that the cloud is increasingly where innovation is happening, and where iteration can happen quickly enough to find product-market fit faster than hardware designers and manufacturers can keep up. Therefore, software will ‘eat the world’ and reduce hardware to a commodity space of dumb glass. There’s some strong evidence for this, notably this week Microsoft laid off 18,000 employees, mostly from Nokia, and Samsung has started bleeding. Fred Wilson also often talks about fast replacement cycles for smartphones being a strong driver to keep larger devices (e.g. TVs) dumb, and allow them to be controlled by the smartphone. This is a bit of a middle-ground thesis, but I’d place it in the dumb glass camp. While it’s true that this device is generally dumb after its setup, most of the value is in the form factor, not the software. There is a specific use case for this unit, so it makes sense as a place to put artwork, and it makes sense as a piece of glass for your wall. Could we all have been doing exactly what EO offers for years with TVs and tablets? Yep. Does anyone ever do that? Nope. The current device selection is insufficient for this use case – everything on the market is either to big, too small, too glossy, too clunky or just obviously designed for different purposes. It would look dumb on your wall and this looks beautiful. For a product like this, I think it’s probably that simple. In the short- and mid- term I think hardware is about to explode. In the longterm we’ll probably drive towards some dumb glass standards, but until then, entrepreneurs are going to need to tell people what to do with their glass, and that’s going to open up tons of opportunity. 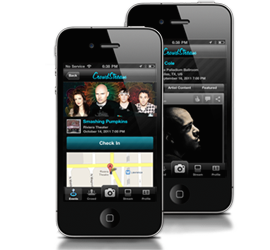 In 2010, Brian Bason and I started building CrowdStream to help music artists and fans connect on mobile and in social media. It’s been a phenomenal experience working with some of our favorite artists as they forge into the mobile ecosystem to create experiences that weren’t possible just a few years ago. This week, we’re thrilled that CrowdStream is joining the RadioIO platform. Over the past three years, and thanks to the help of an amazing group of advisors and friends, CrowdStream has been used by over 150 artists, including Mötley Crüe, The Smashing Pumpkins, the Neon Trees and J. Cole. We’ve reached over 100 million fans in social media and contributed to the success of hundreds of world tours for our artists. The most rewarding part of this journey has been hacking away to create a digital ecosystem that actually works for artists, helping them drive business goals and engage with fans in ways that are meaningful and rewarding for everyone involved. We believe artists create valuable content, and we’ve worked to help them realize that value through CrowdStream. As part of RadioIO, CrowdStream will now reach an even wider audience, and offer fans even better ways to engage with their favorite artists through RadioIO’s consumer and B2B streaming radio services . RadioIO shares our vision to create a compelling value proposition for artists in digital, and we couldn’t be more excited to continue building towards that vision with the RadioIO team. I just finished reading Fooled By Randomness, by Nassim Taleb. I loved the book, and if you’re interested in financial markets, behavioral finance, probabilities and statistics I think you’ll really enjoy it. Check it out if you haven’t already. Nassim has a section that talks about survivor bias and it got me thinking about how it related to startups. I was recently at a conference for startups in San Francisco, a day-long chance to learn from people who had built and run massively successful businesses. The speakers were gracious, humble and offered the best advice they could for the young operators in the crowd. But I was particularly struck by one CEO, who was the only one to attribute much of his success to luck. When asked a question about what he would have done differently, he said that you can’t ignore the massive role luck plays in the success of most startups, and he tried to keep that in mind while he was going through growing pains at the company. I looked out over the 400 people in attendance and noticed how young everyone was, and I thought about how few of them would still be coming back to these conferences after five years. One problem with taking to heart advice from successful startup founders is that we run the risk of mistaking correlation for causation, and we ignore survivor bias when we internalize this information. Of 100 startup founders, maybe 10-20% will be truly successful at operating their company from an idea to an M&A transaction or IPO that generates a return for everyone involved. Of the 80% plus who fail, most of them will be exceptional entrepreneurs and operators who picked the wrong market, the wrong product strategy or just had bad luck along the way. Venture investors place very few bets in a given year, and all of them are on top notch people who are vetted and have the potential to become great leaders. Of those 100 theoretical startups, 100% of them are founded by credible people who have already proven their potential, and often have a previous track record of success – they are already winners on paper or they wouldn’t be able to raise capital. I don’t think the community likes talking about this very much. We like to put successful startup leaders on pedestals and assume that they’re successful because of the decisions they made. Success rates in early stage, venture-backed startups are very, very low. The cemetery of failed startups is filled with entrepreneurs who did literally everything right, but were just unlucky. I was reminded to keep this in mind, not only when looking at failed startups, but also when looking at successes. Operating advice can be invaluable, but keep in mind that for every successful founder you see on a stage, there are probably 80 others who are just as talented, just as smart, and just as good at operating, who were just a little less lucky.